Buying an engagement ring is an exciting experience as the engagement ring marks the first step for the bride and groom to walk their way down the aisle. The choice of the right engagement ring is significant as this is the ring your partner will wear with love for many years. Getting engaged is certainly the best time for you to let your loved one know how much you care for your sweetheart and there is no better way of communicating your intense love than presenting an exotic designer engagement ring. 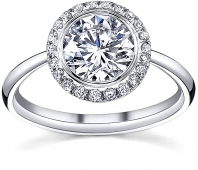 Most people are perplexed whether the style of engagement ring they pick will be what their partner-to-be will fancy. To avoid disappointment, couples often shop and select rings together online at Novori Jewelry. 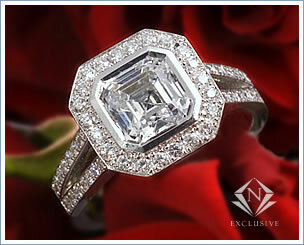 One of the latest trends in engagement ring is to buy princess or asscher shaped settings and vintage rings. The traditional solitaire with a plain band is always a popular choice. Custom made engagement rings from Novori allow every couple to create their very own unique ring. Whether your custom made engagement ring is a 1 carat solitaire ring or three stone or five stone, there are always plenty of opportunities to create exotic styles. Engagement rings with french pave set diamonds can be truly sparkling without your having to pay a hefty price. Baguette set diamond engagement rings look fabulous but will be more costly than the pave settings. It is always possible to engrave special quotes, messages, or nicknames on the inside of the engagement ring to personalize the ring and make it special. If you are willing to spend time shopping at Novori, you can come across some stunning and unique engagement rings which your partner will wear with pride forever. 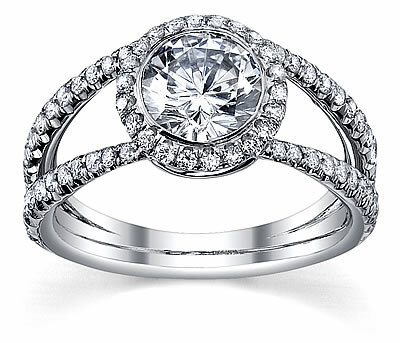 Platinum and white gold bands are much sought-after engagement rings. While platinum is a more costly metal, it is much harder and will never wear out. Both white gold and platinum will enhance the size of your diamonds, and will heighten the sparkle and radiance of your stones. White gold is a more cost- effective option than platinum, but the white gold needs to be regularly plated with rhodium to maintain the white shine. Metals such as platinum, palladium, white gold and yellow gold are used in engagement rings to suit the needs, affordability and tastes of a wide variety of customers. Many brides-to-be are fond of engagement rings with colored diamonds. The advantage of colored diamonds is that they are as hard as traditional diamonds and they look exquisite when worn. Colored diamonds vary in prices, with pinks and yellows costing more than the traditional blue white. Designer engagement rings are always the priority with most couples. When designing your own engagement ring, you have the opportunity to create the engagement ring of your dreams, right down to the smallest detail. There are many famous designers of exceptional and extremely gorgeous engagement rings the world over. Designer rings by many reputed designers come with many themes and styles so that every bridal pair may choose a piece in keeping with their style and taste. These designers are showcased at Novori where you can view a wide variety of engagement rings in different categories. You can also shop online for designer engagement rings and see a dazzling array of engagement rings and you and your partner can together make the right choice.